Ireland – A nation of economic Bourbons? This is an edited and extended version of a column in the Irish Examiner 30 November 2013. 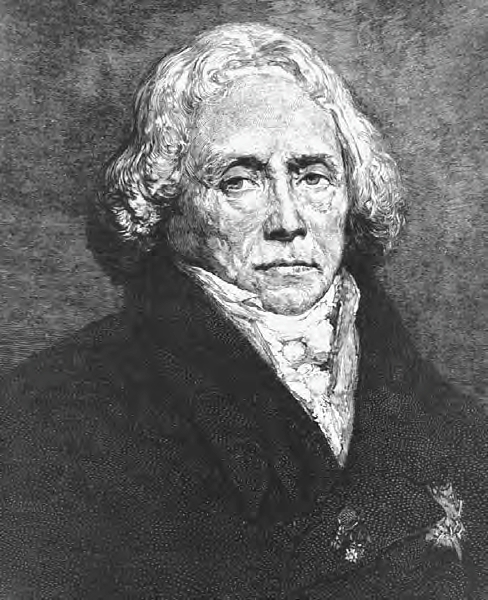 Tallyrand, the great French statesman and survivor, declared on its restoration that the House of Bourbon “had forgotten nothing and learned nothing” . He referred to the reflexive actions of the new King towards autocracy and revenge. In many ways, the Irish are economic bourbons – we remember nothing and we forget nothing. We don’t learn from history in Ireland. Part of the problem is that we perhaps have too much history. There is always an exception, some time that if not different was not quite the same to allow us the out of saying “ah, but this time its different”. From there it’s a short drive turning a corner, carefully not driving over the green shoots to see sound fundamentals and away we go. 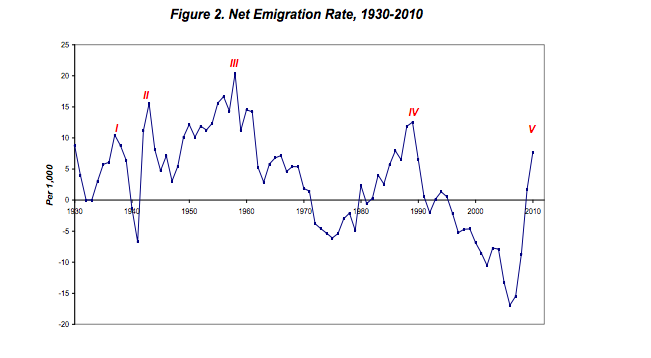 The great economic historian Cormac O’Grada noted in 2011 that this crisis was the fifth major episode of emigration in the history of the state. If we add in the Civil War, that’s one every 14 years, or 1.5 per generation. This is probably a world record for crises. Lets look at these and see what we can learn. In the 1930s we had a crisis when DeValera, in what I can only think of as an act of economic lunacy declared an economic war with the UK, our then vastly predominate trading partner. Leaving aside the rights and wrongs, the economic war only ended when it became an irritant to the UK in their need to focus on the immanent existential threat of Nazi Germany. Throughout the Second World War the small, import substituting industrial companies encouraged by Dev as part of his drive towards autarky, a sort of 1930s North Korea with priests, were hammered badly. By comparison other neutrals enjoyed commodity booms. We managed to lag the other neutrals by a considerable margin before, during and after the war, in terms of growth. We exported people and cattle, usually in the same boats. The 1950s, dominated by DeValera again, were a grim decade, with declining population and falling living standards. 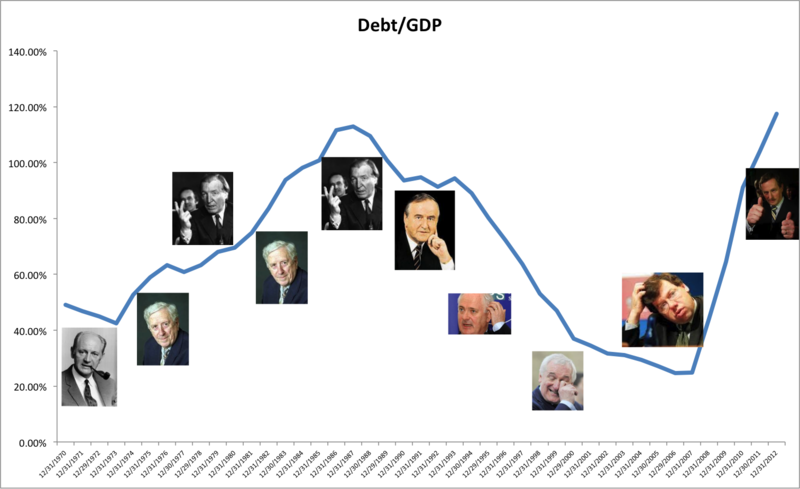 It took decades of hard work to turn the country to a paying proposition and then in the 1970s the weak government of Garret Fitzgerald followed by the Trimalchian banquet of Haughey increased the national debt tenfold in the 1972-82 period. In some ways Haugheys ‘L’etat, cest Moi’ approach to money echoed the mysterious conversion of bonds raised overseas in the 1916-21 period for the state into shares held by Eamonn DeValera in his own private newspaper. In the 1970s and 80s in particular of course we also renewed our love affair with exporting live cattle to Libya and people to anywhere which would take them legally or no. The hard work of the 1990s was of course blown to pieces by the collective folly of the credit boom followed by the Masque of the Red Death that was the fumbled bumble of the Cowan governments decline into national bankruptcy. Theres a broad thread running through this. It is Fianna Fail. This is not to say that FF are historys most evil monsters. They are not, they are a party that is as perfectly evolved to populist democracy as a great white shark is to devouring anything it can. Democratic to its very core, they time and again hold up a mirror to the Irish electorate ,and get elected. Usually this ends badly, as the nature of democracy is for people to vote for jam today and tomorrow. It is only when the chips are really down that we as a people turn to the unpalatable alternative, usually wrapped in a light blue wrapper. As Pogo stated – we have met the enemy and he is us. We learn nothing. We now see the undeniable starting point of a new, perhaps localized, but undoubted bubble in the housing market. On admittedly low volume we see house prices rising by double digit figures. This is not greeted with horror as it should be. Instead it is seen and hailed as a success. Five years from the bursting of the bubble, the consequences of which took us from a national debt to GDP ratio of 25% to the present dizzying heights of near to 125%, which has resulted in the return of our favourite export Canned Paddy (now in new exciting flavors such as WellEducated Paddy to complement the old favorite Labourer Paddy), we have simply forgotten that rising house prices are not a good thing. National Economic Bourbonism exists not just in house prices. There will be a delicious, and literally dark, irony if the day after we exit the bailout a national electricity strike takes hold. 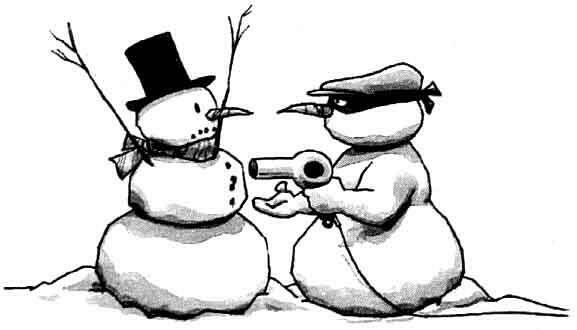 We can bluster about cloud computing, waffle about Silicon Docks and plamas about high tech exports till snowmen dance on the plains of Dis but if we cannot guarantee reliable electricity we are and deserve to be seen as not a fully modern society. The exit of the Troika should be seen as an opportunity to become better than we have been. In 1921 the per capita national income of Ireland as a % of western European was 57%. In 1971 it stood at… 57%. 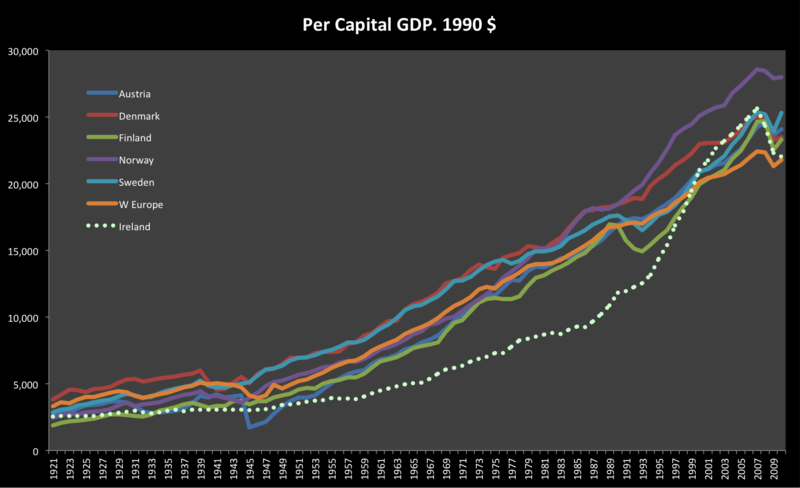 Ireland had approximately the same per capita income in 1921 as Norway, Sweden and Austria and more than 50% more than finland. We have at least as much in terms of national resources as most of these. All are now considerably wealthier than us now and that is on GDP levels. Our GDP figures are puffed up by a MNC sector that is overly large and on which we are both overly dependent (its both totemic and a shibboleth) and yet unable to harness for tax or jobs. If we adjusted downwards the present day figures to GNP we would see the differences that much starker. We need to stop forgetting and take a long cold look at ourselves in the mirror. And we need to stop remembering and reminiscing and start wondering – what is it in the national culture that keeps us engaging in periodic bouts of economic self harm. This entry was posted in Blogpost, Journalism and tagged bourbons, Eamonn DeValera, economic war, economy, History, ireland on November 30, 2013 by brianmlucey. A longtime mac fanboy, I changed last year to the Galaxy S3. I was offered and upgrade by Vodafone to the then new iPhone5 and thought : if I have to change chargers, I may as well go to what looks like the best in class at that time. I liked, and like, the phone. After a day or so sorting out transfer glitches, it was smooth and slick. Then came Android 4.3. Its still “Jelly Bean” but “Heap O’Crap” might have been a better name. It bricked the phone. As in, it would not wake up when it went to sleep. Push the home key and wait….and wait… sometimes for minutes at a time. Hear the phone ringing, and see the screen blank. Watch your WiFi signal fade in and out as you stand beside the router delivering 100mb to the rest of the house. See the call, and paw at the screen to no avail. After much googling (theres a meta irony right there) I found hordes of people with the same problem. I eventually tweeted Vodaphone, and a very nice response came back : take out the battery, then disable S-Voice aka “I cant believe its not Siri…oh, wait, I can”. That kinda worked. It is still slow to respond, and still hangs. One thing that this disabling hasnt fixed is the astoundingly poor battery life. Its now 4.30pm. The phone is on its second recharge of the day, having gone to 10% in a few hours of very light usage. Its back to 12% now, and I can almost hear it declining. Im not an especially heavy user even. This entry was posted in Blogpost and tagged Android, Galaxy 23, Jelly Bean, problems, Vodafone on November 26, 2013 by brianmlucey. What is curiously missing are irish economists or economic departments. Harvard have over 500k papers downloaded from SSRN, Tilburg 438k, MIT 400k etc. The economics papers dominate SSRN, with 300k papers in all areas of economics. The next largest is Finance with 144k papers. Where are the Irish economists? Its not that they are not doing good work. Its that they are not using this portal to showcase it. And thats a pity as the whole point of SSRN is that its a social science related portal. Economic research institutes etc in Ireland seem to prefer ideas.repec.org/. While its also a great site, theres nothing to stop cross posting. 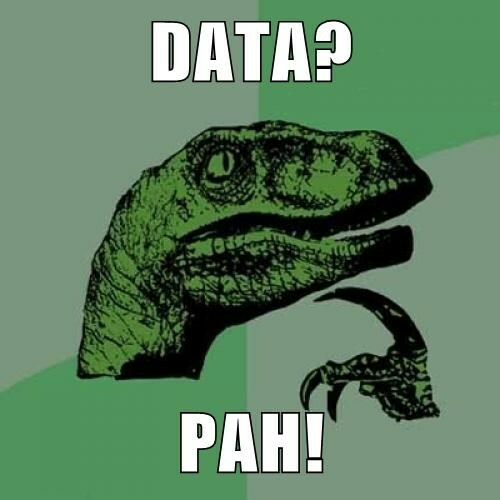 Maybe economists herd with other economists while avoiding anthropologists, poly scientists and so forth. Thats a pity. Open up to the world. Post to SSRN as well as IDEAS. This entry was posted in Uncategorized and tagged economics, economists, shy on November 24, 2013 by brianmlucey. Hard to disagree that effective oppositional politics needs th grounded in reality as well as aspirational. This entry was posted in Uncategorized on November 24, 2013 by brianmlucey. 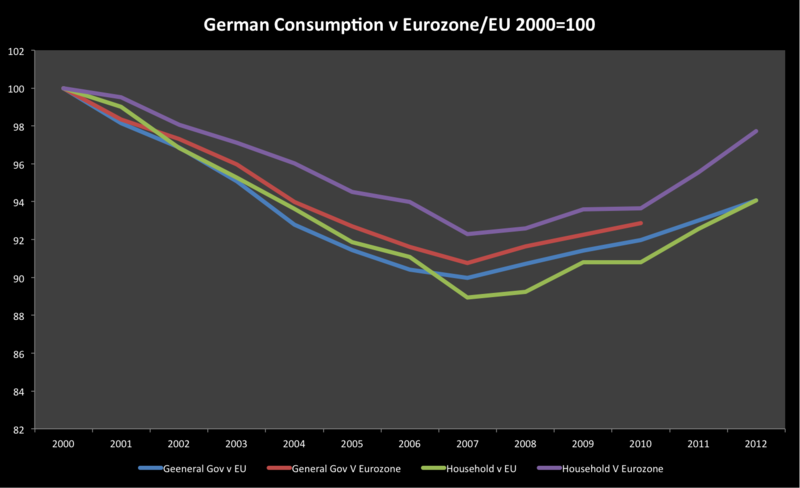 So you think lack of German demand is not a problem? This entry was posted in Blogpost and tagged economy, German Household, germany on November 18, 2013 by brianmlucey. Bitcoin is soaring. I have previously noted a new test (The generalized sup-ADF test of Phillips for the technically minded : see https://editorialexpress.com/cgi-bin/conference/download.cgi?db_name=CEF2010&paper_id=69 if interested) for bubbles. Applied here we see not one but two bubbles in bitcoin. The shaed series is the test statistic, the light green line its critical value – when the test statistic is above the critical value, it suggests a bubble. Also imposed are the closing values of bitcoin v $US (from MtGeox exchange).